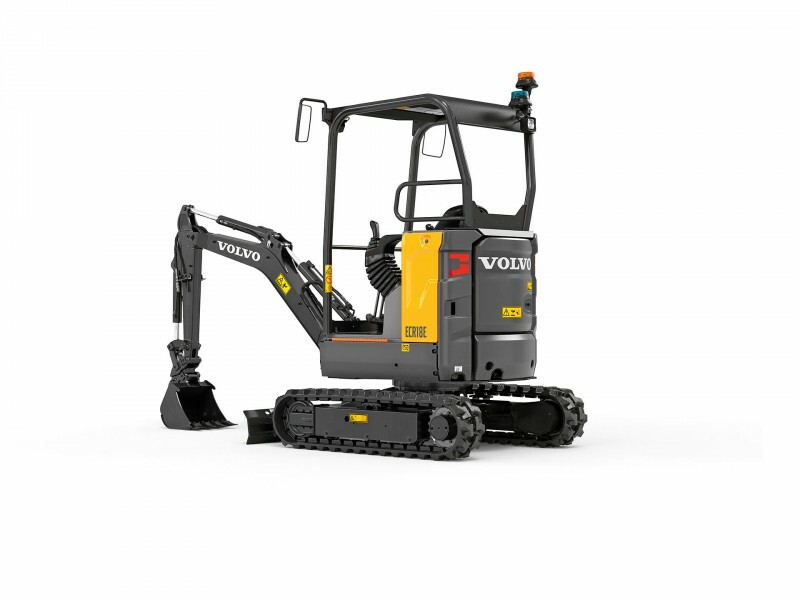 The ECR18E from Volvo Construction Equipment features an ultra-short swing radius, making it super agile and safer when working in confined urban applications. 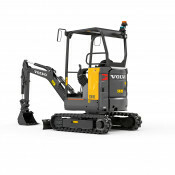 Receiving its worldwide premiere at the Intermat exhibition in Paris in April, Volvo CE is pulling the covers off its latest compact excavator. 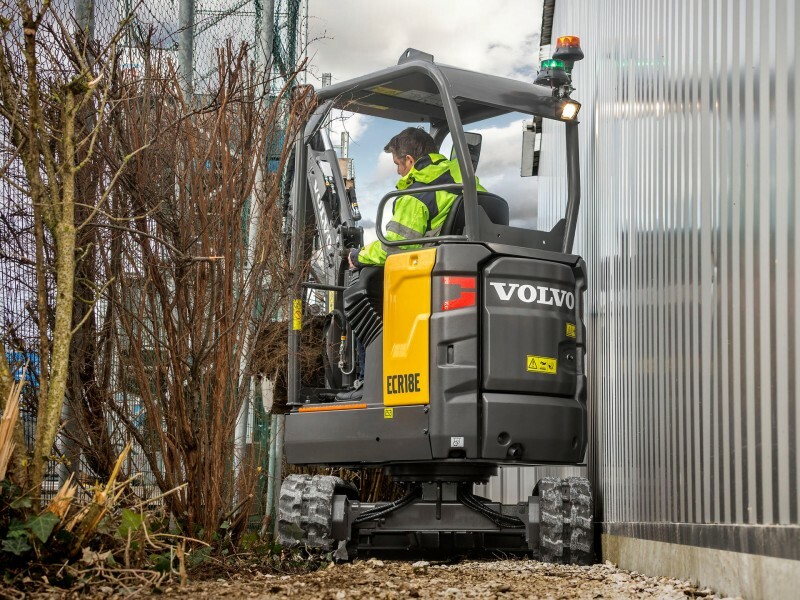 The ECR18E is a 1.8 tonne class machine that can squeeze into the tightest of spaces, and thanks to its ultra-short tail design – the shortest radius in the Volvo range – it can work close to obstacles without colliding with them. The new model complements the Volvo offer, which so far comprises seven short swing radius models, ranging from 1.8 to 9.5 tonnes. The machine will be available worldwide from the end of 2018 and despite its short-tail design, remains highly stable all round. 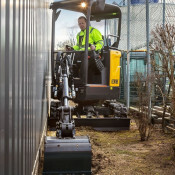 Featuring a variable undercarriage, the ECR18E can retract to less than 1 meter wide to enter confined areas – or expand to some more surefooted 1.35 meters. 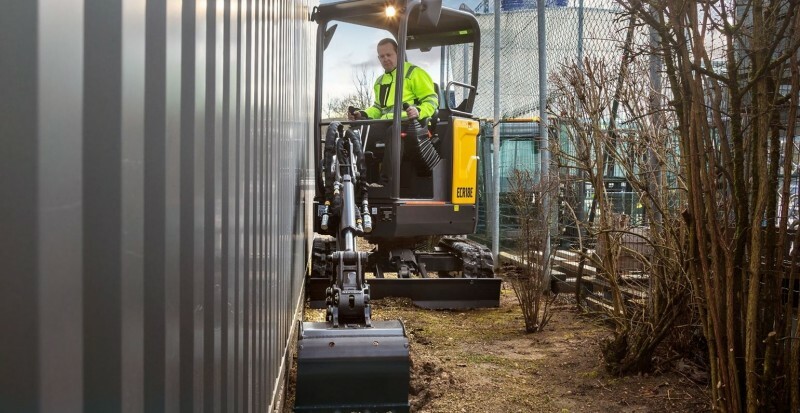 Particularly suited to the needs of rental businesses, the ECR18E is designed for low cost of ownership. 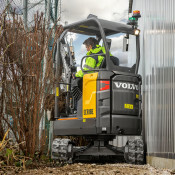 Robust by design thanks to a high-profile counterweight, the machine is made for easy maintenance, with 50 hours greasing intervals and a hinged fuel tank providing best-in-class access to the engine compartment. The engine can also be fitted with auto-idle and auto engine shutdown features, which both reduce noise disturbance, service costs and fuel consumption while ensuring a higher resale value. It may be able to squeeze into tight spaces, but operators will find that the cab environment of the ECR18E is both roomy and uncluttered. With fingertip operation, simple layout controls and large travel pedals, the machine is both easy and safe to operate, the latter helped by a standard orange seatbelt and optional sensors that lock the controls, preventing movement if the operator is not sitting firmly on the seat. Transportation is also safe and secure, helped by four easily accessed tie-down points on the upper frame. Thanks to its light weight, it can be safely transported with up to three buckets and a hydraulic breaker on a compact trailer.